12" x 22" usable Magic Black area (large enough to letter 35 3.5" x 2" patches). because plotter wheels never touch the Magic Black area. 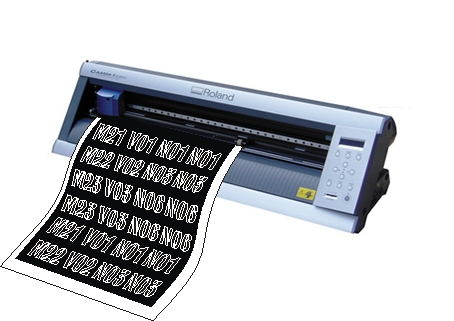 Cut the lettering on your plotter and save big !!! Magic Black Economy Sheeting is just $12 for a 12" x 22" sheet. That's enough material to letter 35 - 3.5" x 2" patches !!! VIEW CART For CREDIT CARD payments, just click "Don't have a Paypal Account? ", when you get to the Paypal Payments portion of check out and the credit card option will open up.